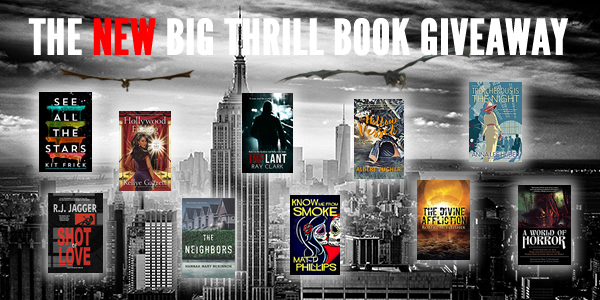 Subscribe below to enter The NEW Big Thrill book giveaway contest. Please only one submission per contest, but you may enter as many contests as you like. By subscribing below you are agreeing to receive The Big Thrill, ITW's monthly online magazine. ITW is committed to keeping your information secure, and to that end will only use your personal data for limited email marketing purposes. Yes, I would like to receive email from ITW, including the monthly online magazine, The Big Thrill.